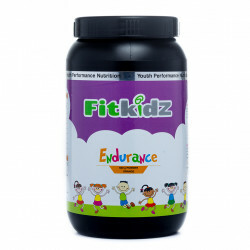 FitKidz There are 3 products. R 270.00	This item is In Stock - Please CONFIRM your Selection! FitKidz Endurance helps build the immune system, and in addition to Vitamin C, contains natural antioxidants including Bilberry, Elderberry, Cat’s claw and Echinacea. Zink has been added to the formula for its well-knownimmune-boosting properties. FitKidz Vitamin-B Fusion 250ml is a well-rounded vitamin-and-mineral formula aimed at meeting the supplement requirements of a little generation.